We’d love your help. 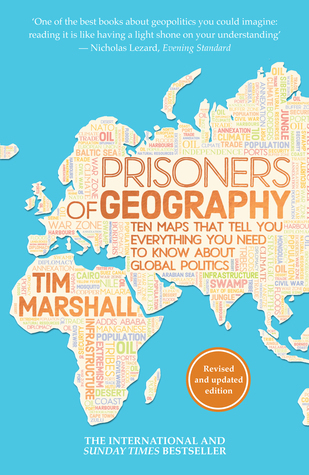 Let us know what’s wrong with this preview of Prisoners of Geography by Tim Marshall. If you've ever wondered why Putin is so obsessed with Crimea, why the USA was destined to become a global superpower, All leaders are constrained by geography. Their choices are limited by mountains, rivers, seas and concrete. Yes, to follow world events you need to understand people, ideas and movements - but if you don't know geography, you'll never have the full picture. To ask other readers questions about Prisoners of Geography, please sign up.